The hype videos for big Eagles games have been one of the best parts of following the team over the last few years, with the space between game days being filled with highlight reels that make you want to run through a brick wall. It's a little harder to have that same impact in basketball with the games so close together, but a Sixers vs. Celtics series is the best possible time to make an attempt. Led by one of the Sixers' partial owners and one of Philadelphia's best-ever exports, Will Smith, the franchise put together a highlight package narrated predominantly by the original Fresh Prince, as the new age "Fresh Prince" of the Sixers puts on a show alongside Joel Embiid. 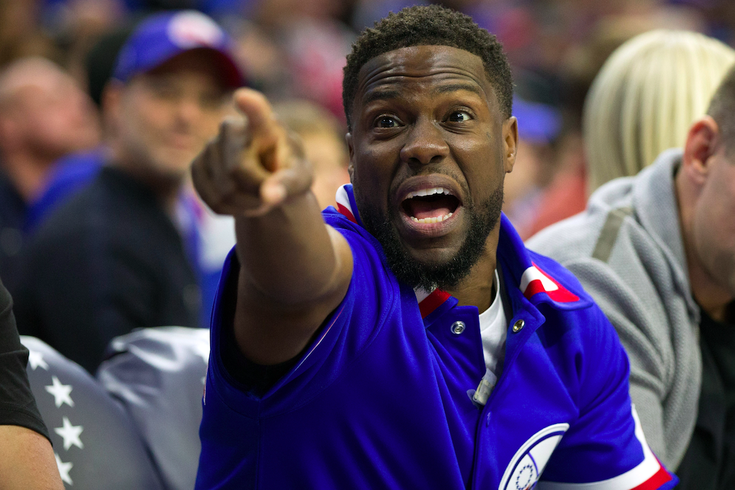 Appearances from Kevin Hart, Malcolm Jenkins, Lil Dicky, and even Embiid himself are spliced in, as the echo of the Liberty Bell plays behind them. As Smith does a good job of explaining, it has been quite a journey for this franchise over the last few years. To rise from 10 wins to 52 in two seasons — and with a realistic chance to make an Eastern Conference Finals appearance — is something most people in Philadelphia were not prepared for, let alone around the country. So yes, as Smith asks, it is pretty easy to feel that. If the big guns like Smith are getting involved, it should tell you everything you need to know about how hot this team is at the moment. You can watch the video below, courtesy of the Sixers, and check out our extensive preview of Philadelphia's matchup against the Celtics here.